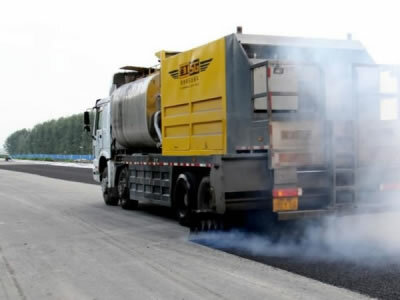 Gaoyuan has been in manufacturing road repair and maintenance equipment since 2004, and is a reliable chip seal distributor manufacturer and supplier. 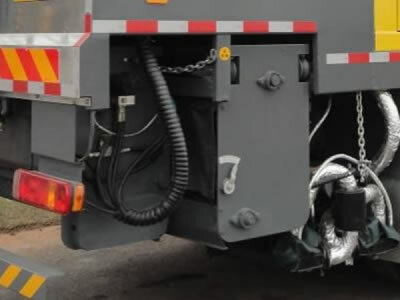 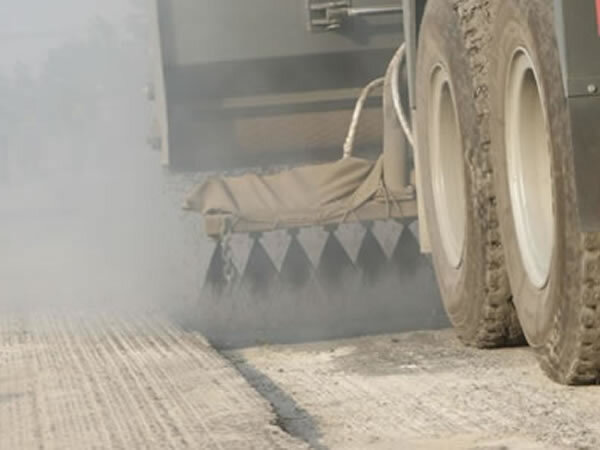 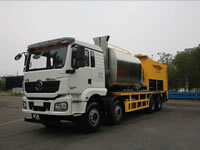 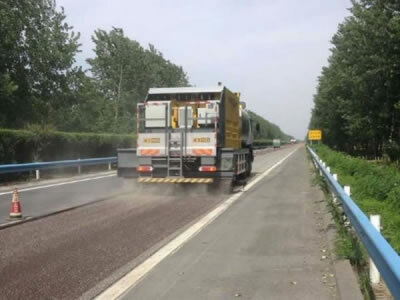 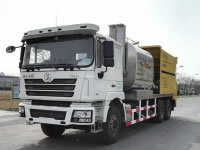 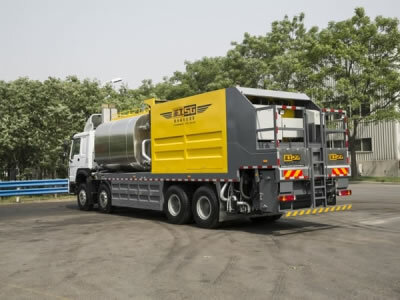 This chip seal truck HGY5318TFC is designed for spreading aggregate chips and spraying liquid asphalt to form pavement evenly, it is equipped two diesel burners to heat asphalt at a high speed. The aggregate is automatically conveyed to the double screw distributing device for spraying again by the spray bar, leading to a highly uniform spray. 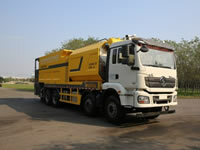 Therefore, this chip sealer combined with chip spreader and binder sprayer is for making asphalt pavement evenly. 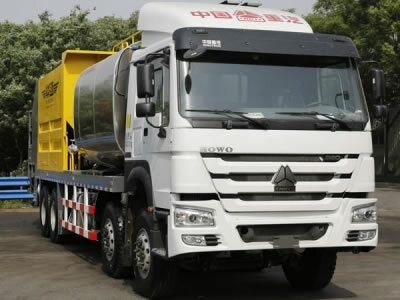 Please note: Semi-trailer and loader can be customized according to clients' needs. 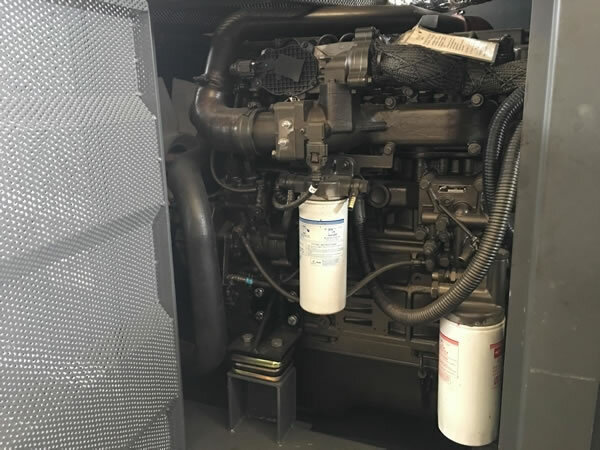 Equipped with 276Kw (380 horsepower) engine for stronger power. 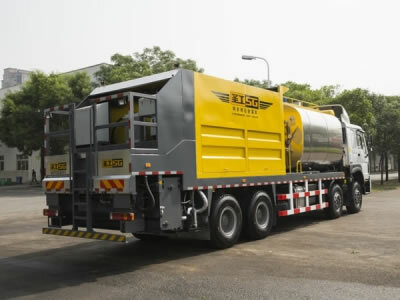 The asphalt tank is equipped with 2 diesel burners to achieve high combustion efficiency and high heat rate (≥20℃/h). 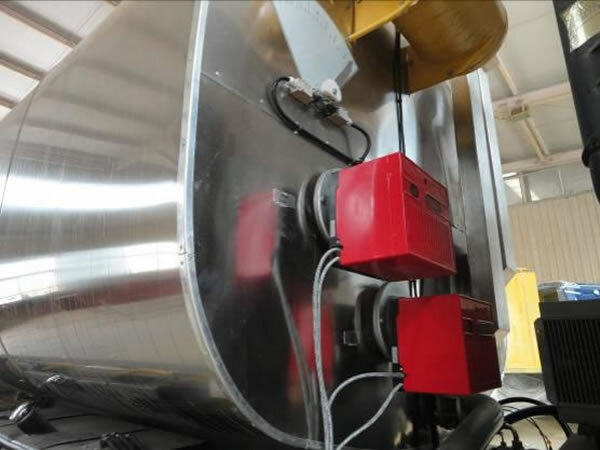 Besides,autoignition and automatic temperature control system are equipped for safe and stable operation. 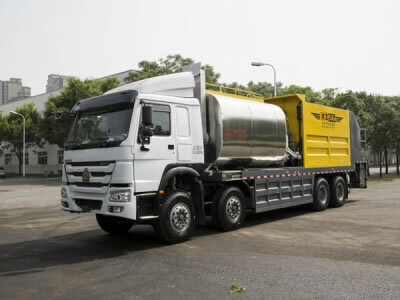 The power of the hydraulic system is provided by the auxiliary engine for stable operation. Besides, the hydraulic system is independent from the main vehicle. 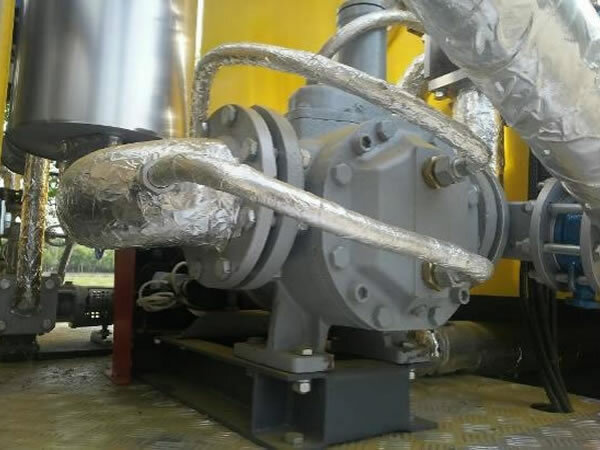 The asphalt pump and heat conduction oil pump adopt JOHNSON brand for good performance of self-priming, wide range of speed, good sealing performance and stable flow rate. 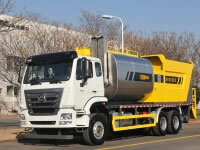 The asphalt tank is equipped with mixing device. 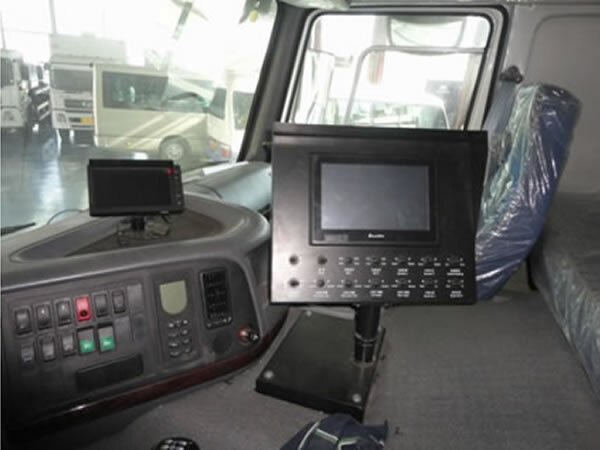 The operator cab is equipped with construction monitoring system and automatic operation panel.